Wireless is everywhere and routers are the force that makes it happen, so why not supercharge yours to take proper advantage of it? 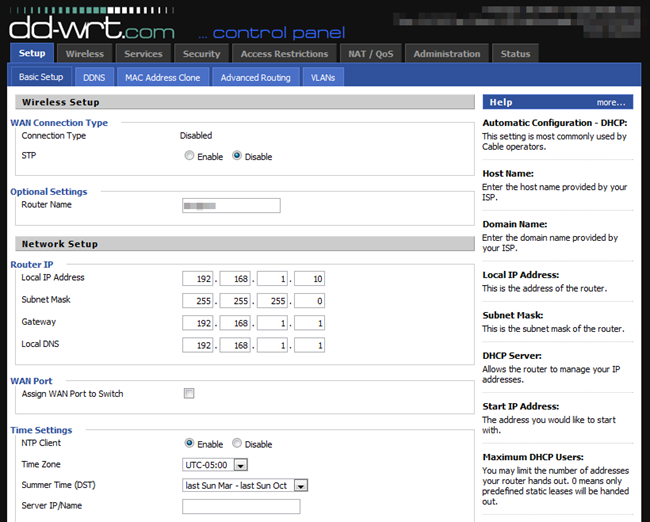 DD-WRT will let you boost your router’s range, add features, and more. DD-WRT has a ton of features—more than we can cover in this guide, which is focused on helping you get your router upgraded. Stay tuned, as we’ll go into more depth in a couple more days on all the great things you can do with it, but even if you don’t use the additional features, DD-WRT is worth installing to make your router work better. Here’s our router. 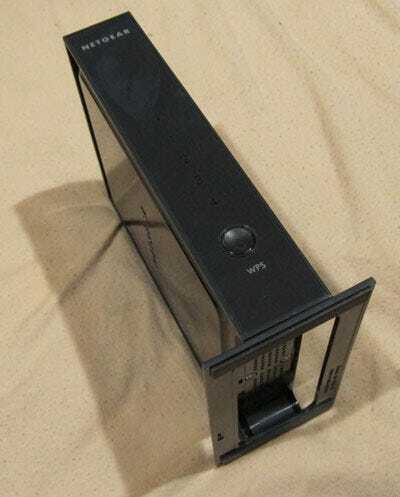 Behold: the Netgear WNR2000, revision 2. It’s a mighty fine one, too, but it’s still not the best. Why, exactly? Your router is only as good as its firmware, the software that makes it tick. 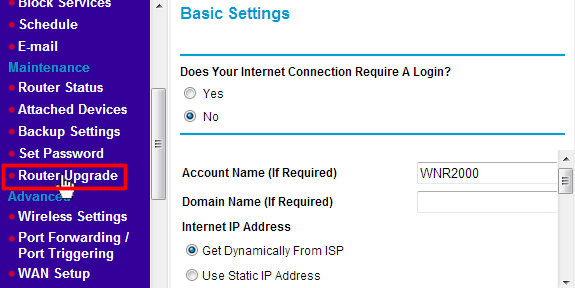 When you buy a router from Linksys/Cisco, Netgear, D-Link, or others, you’re bound to their software. It’s a nice arrangement; you respect their limitations, and they promise to help with your problems. But what if your warranty’s expired, or you want to shuck their limitations? Maybe you want to take your hardware and push it to its most extreme limits. That’s where DD-WRT steps in. DD-WRT is an open-source alternative firmware for routers. Its software unlocks features that aren’t present on all routers: static routing, VPN, repeating functions, the list goes on. It also unlocks settings that aren’t accessible normally, like antenna power and overclocking. Turning your home router into an almost professional-level tool is a great project that has one major caveat: support. Not all routers are built or designed the same way. Even two of the same model can have different revision numbers with very different internal components. Because of this, the first step is doing plenty of research. It’s best to have a router that’s fully supported, so if you end up buying one, be sure to check the DD-WRT Supported Routers page first. Also make use of their Router Database, which will help you find particular instructions for your model and revision. Most devices have model and revision numbers on the back panel, and if there’s no revision number, it’s safe to assume that it’s 1.0. For our purposes, the important spec to consider is NVROM, or ROM. This is where the firmware is kept, so even if your router has 16MB of RAM, it won’t work with a 4MB image of DD-WRT without at least that much ROM. Because of this, there are a few different versions of DD-WRT available at varying file sizes. Some are trimmed down to fit in smaller ROM configurations. Others are built with specific features in mind, like VPN, SD card support, or a Samba client. For more information, check out the File Versions table. DISCLAIMER: Changing your router’s firmware can result in unintentional consequences, such as “bricking.” It’s unlikely, and we’ve never had a device that couldn’t be fixed in some way, but it’s important to understand that it’s a very real possibility. Just to be clear: you assume all responsibility for anything you do; we’re not liable for anything that should go wrong. As mentioned above, start with the Supported Devices page to see if you’ve got a DD-WRT-friendly router. If you don’t see anything specific, or even if you do, check into the Router Database. Here, you’ll find links to forum pages of those who’ve completed the process for specific models/revisions, as well as the setbacks and workarounds they’ve found. Most importantly, you’ll find links to compatible versions of firmware. The friendly forum gave us some useful info for our particular model. 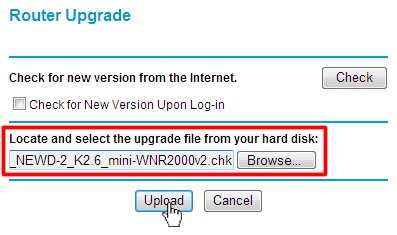 Our router, the Netgear WNR2000 is revision 2, which means it’s compatible (revision 1 is not). It’s only got 4MB of ROM, so we had to stick to the mini version. We followed the download links and read up on what to do to complete the procedure in full detail. Do a hard reset on your router before you update. This usually requires a 30/30/30 procedure. Hard wire your router when you update the firmware. NEVER over wireless. Use Internet Explorer (or Safari) unless specifically stated that other browsers are okay. There’s a ton of reasons which the documentation will reveal to you, but the first two are written in stone, and the last has held true for almost any router, and it won’t hurt either. 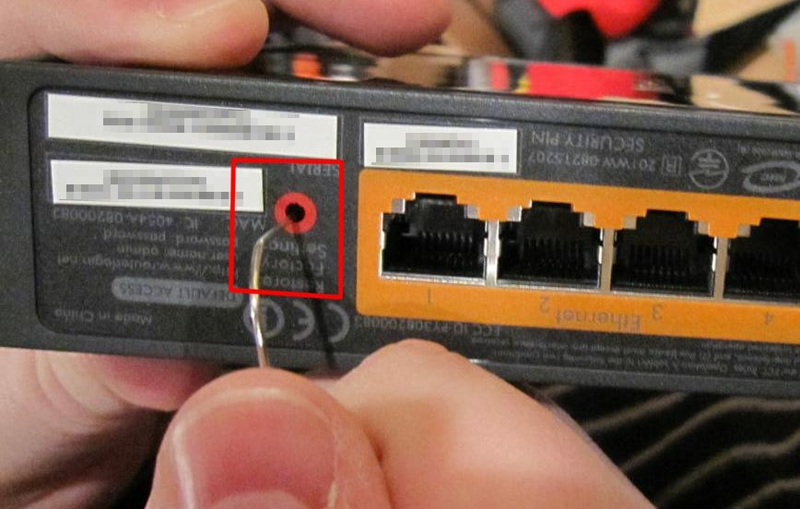 Hard reset, as outlined above, or per the instructions for your specific router. So after our hard reset, we waited for the lights to return to normal, and we hard-wired the router to our laptop. During this phase, we turned off the wireless connection so that just the wired connection to our WRN2000 was active. This prevents any mishaps and makes it simple to connect to the web-interface through the defaults. Next, fire up Internet Explorer and go to your router’s default page, and log in. Use the default username and password, usually printed on your device’s back panel or easily found on the internet. Click on the Router Upgrade link. Browse to the correct image and click Upload, and wait patiently. Very patiently. You’ll see the loading screen tell you to wait while the router reboots, and you’ll see the lights flash on and off for a while. Wait about five minutes, and err on the longer side. When you’re ready, log in to your router. 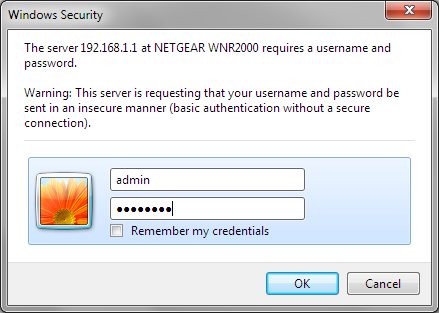 DD-WRT’s IP address is 192.168.1.1, the username is ‘root’, and the password is ‘admin’. You’ll be greeted with your brand new interface. UPDATE: Fellow How-To Geek writer, Aviad, pointed out that at this point, we need to do another hard reset/restore to factory default settings. This will solidify your DD-WRT installation and will prevent any issues that would come up otherwise. It’s mentioned in the block quote above, but to reiterate: perform another hard reset NOW. If things didn’t work out, you may have had a “bad” flash. 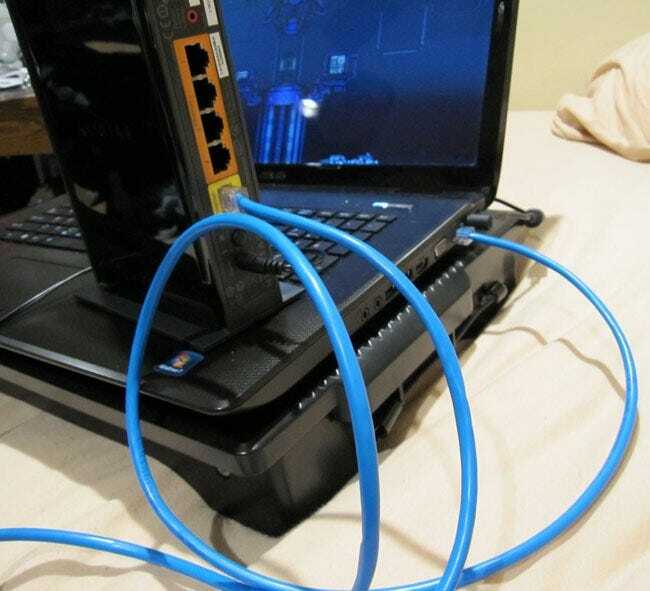 Your router may be bricked, but odds are you can recover from it in some fashion. 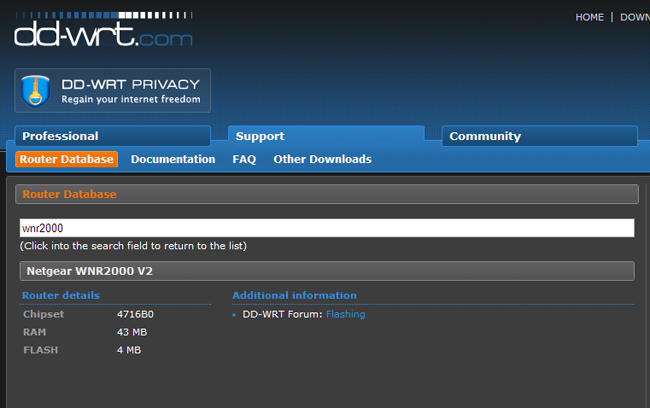 The first place to check out is How to Recover From a Bad Flash, and the second is the DD-WRT Forum. As long as your do your homework and be precise with the instructions, you’ll be fine.